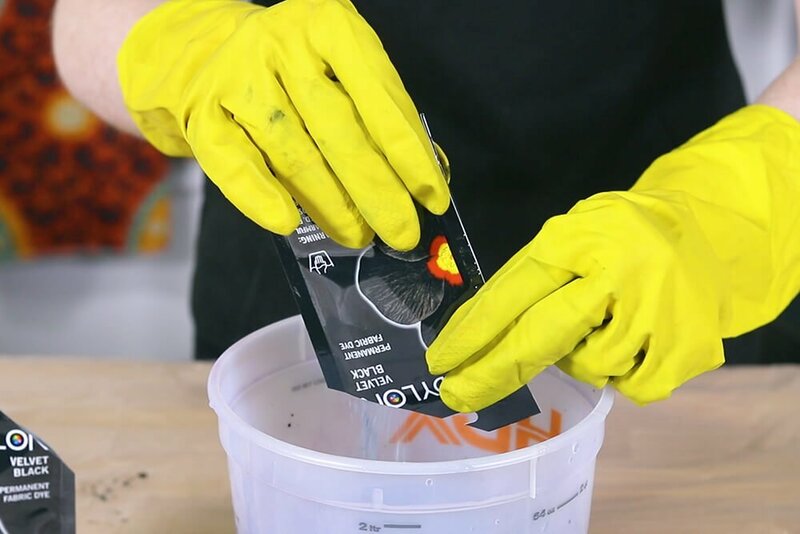 If you’ve got a faded pair of jeans that you want to revive, why not dye them? 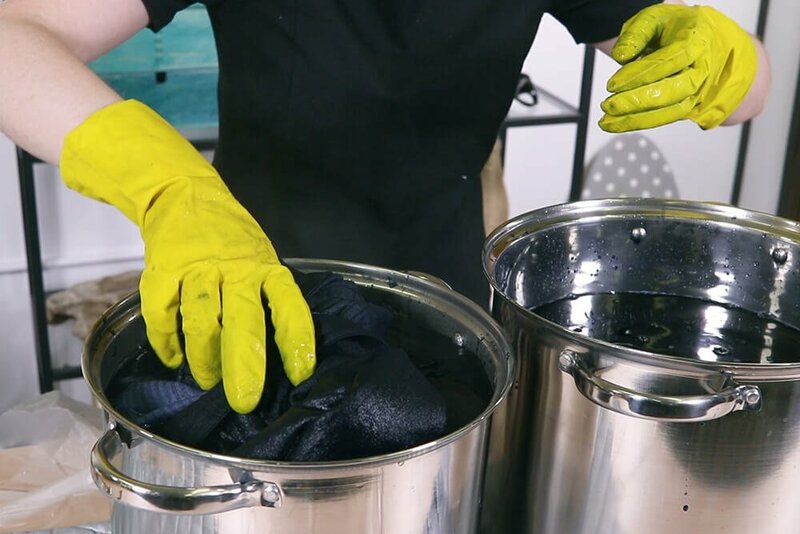 I’m using Black Dylon Permanent Dye for one pair and Denim Blue Rit All-Purpose Dye for another pair. 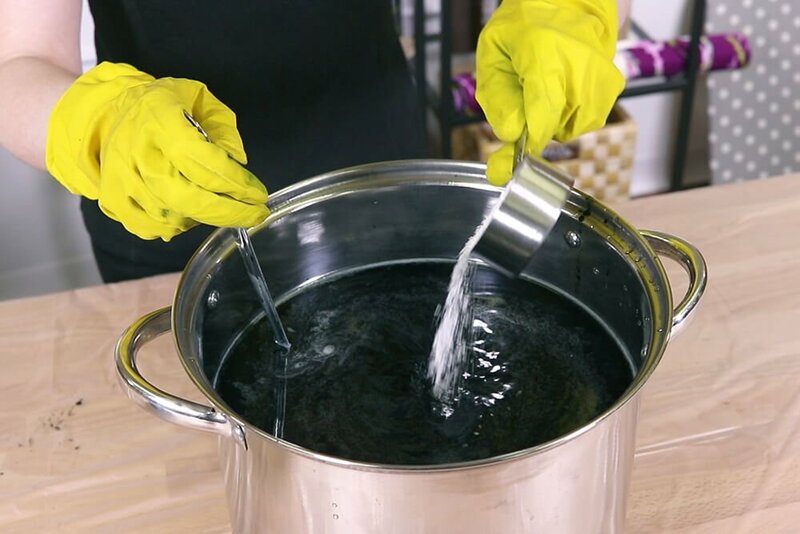 You can use either type of dye for both denim blue and black. You can also try different colors for unique looks. 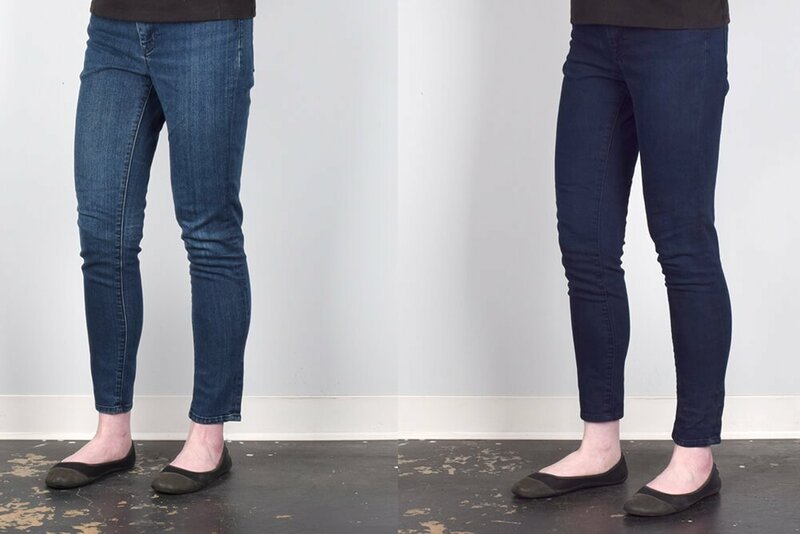 Both pairs of jeans I’m dyeing are made of 70% cotton, 28% polyester, and 2% spandex. 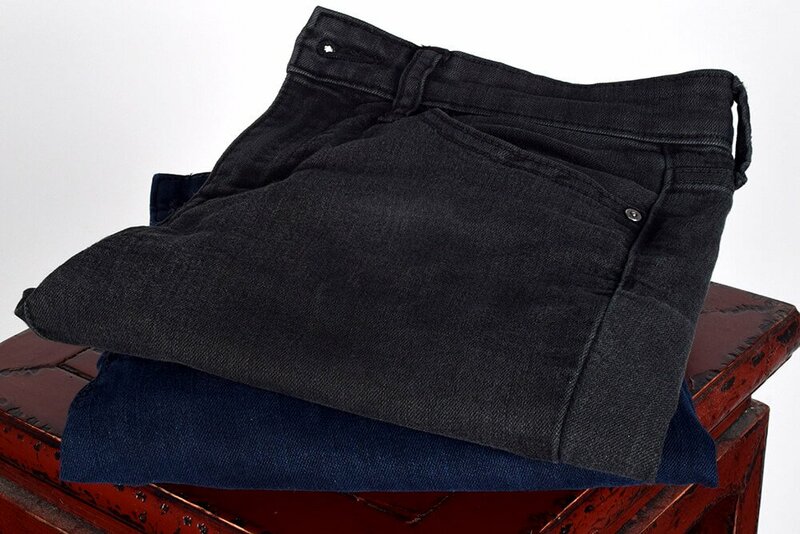 Machine wash the jeans in warm water with detergent before dyeing. You can use either type of dye or try a different color for a unique look. 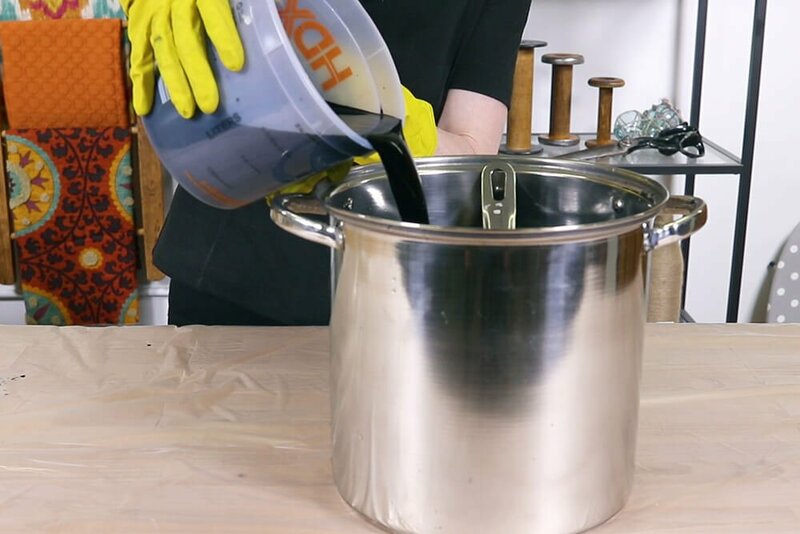 Cover your work surface with plastic and wear rubber gloves when handling the dye. 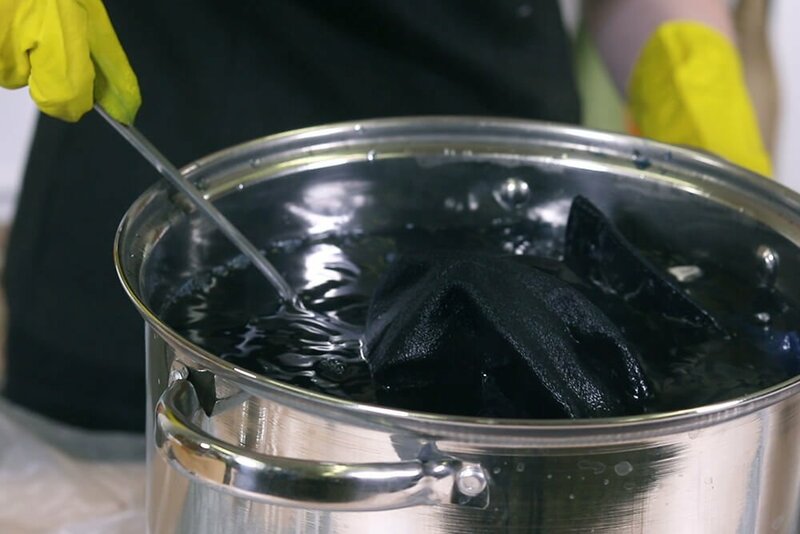 One packet of Dylon permanent dye dyes up to a 1/2 pound of fabric. These jeans are a little under a pound when dry, so I’m going to use 2 packets. 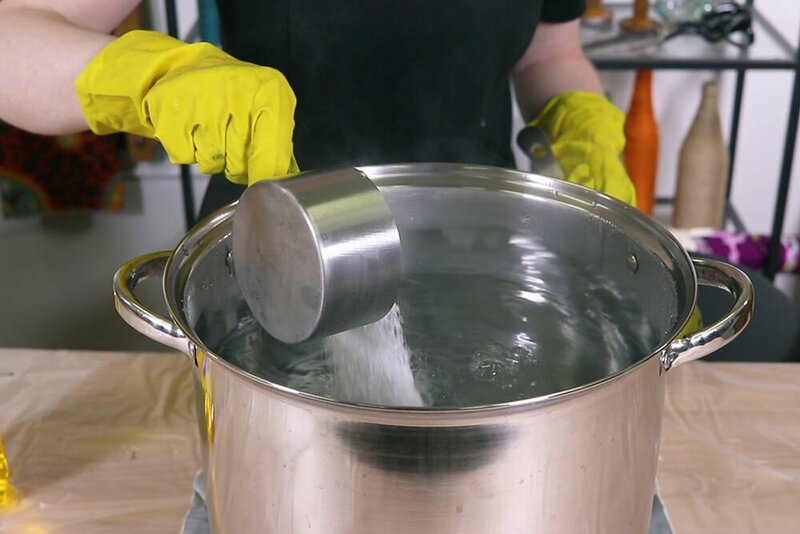 Dissolve the powder in 4 cups of warm water. Be careful not to inhale the powder. 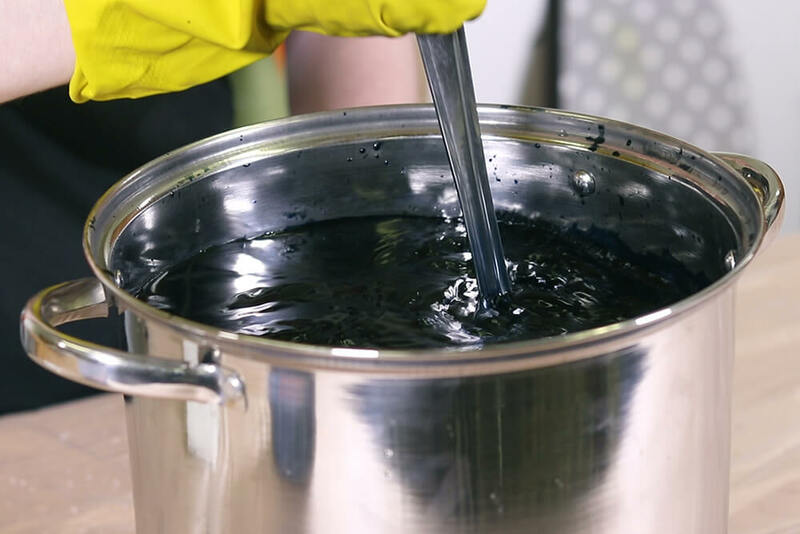 Stir until the dye is completely dissolved. 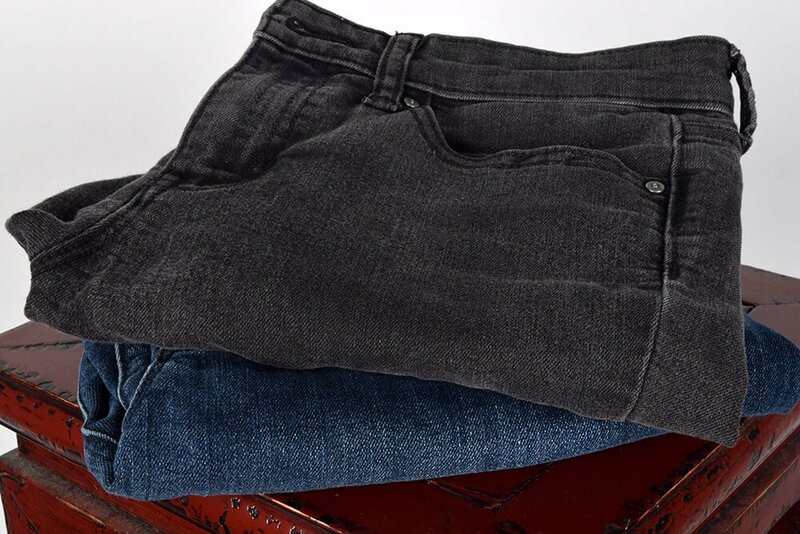 Fill a container with as much water is needed for the jeans to be able to move freely. The water should be warm. Mix in 4 tablespoons of salt. Add the dissolved dye and stir thoroughly. 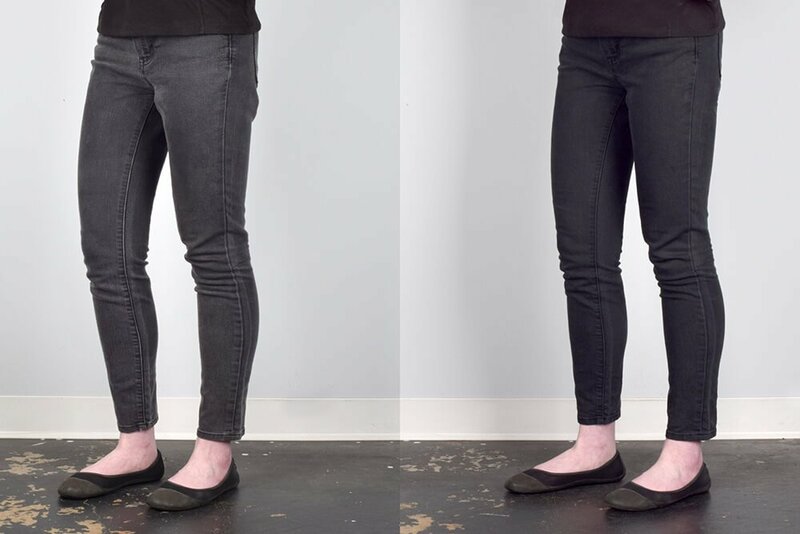 Submerge the jeans and stir constantly for 15 minutes. 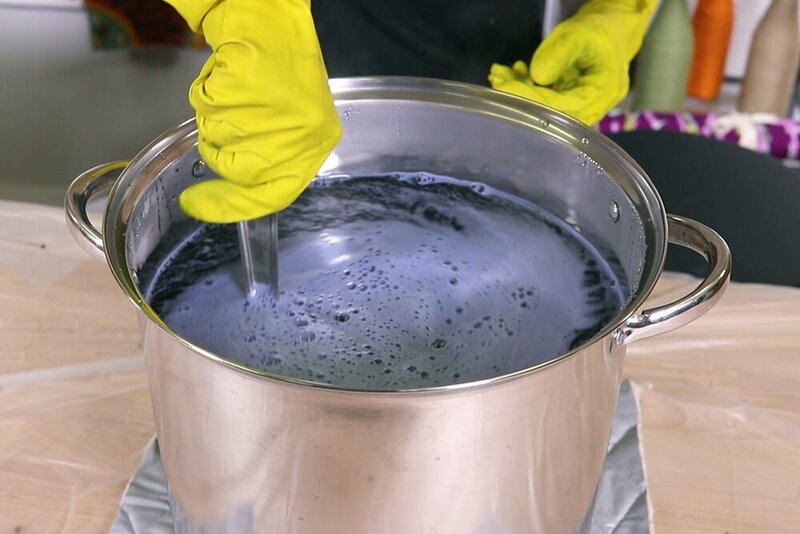 The dye looks blue, but don’t worry, they’ll turn out black in the end. 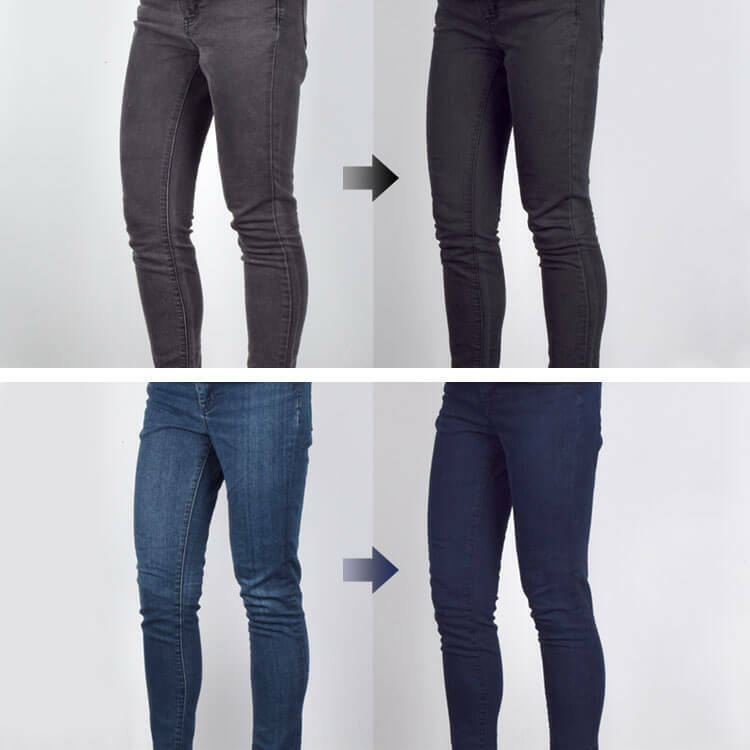 Keep in mind that many jeans contain a percentage of polyester or other synthetic materials, which don’t dye. You may not be able to get a super dark black if this is the case. Let it sit for 45 minutes, stirring occasionally. Rinse the jeans in cold water. Machine wash in warm water and air dry away from direct heat and sunlight. 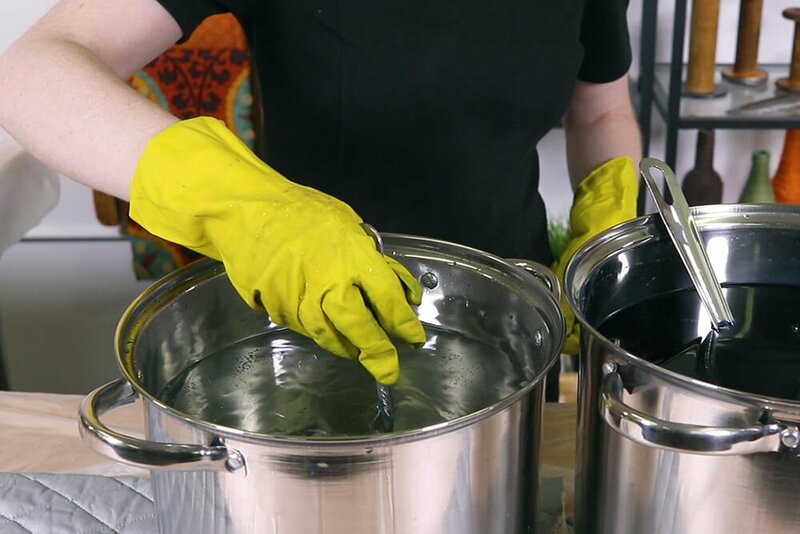 Wash separately a couple times to remove any excess dye. 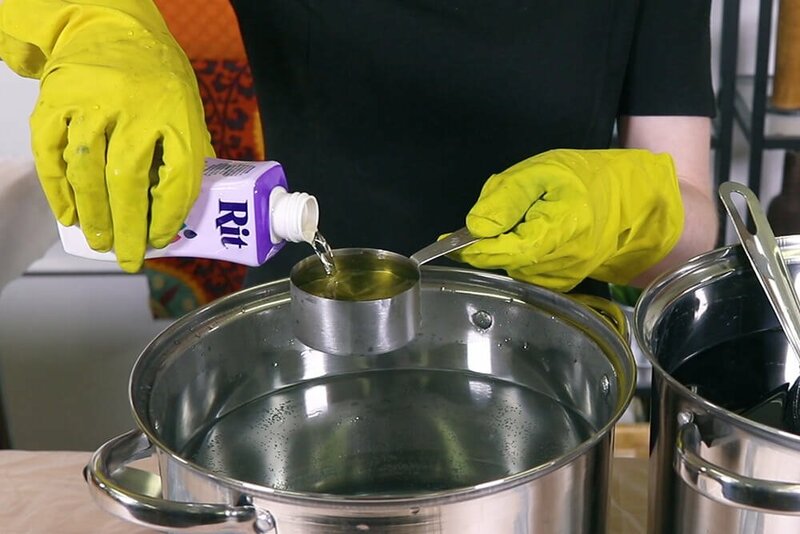 If you want the darkest results possible, keep the water on the stove the entire time to maintain the heat. 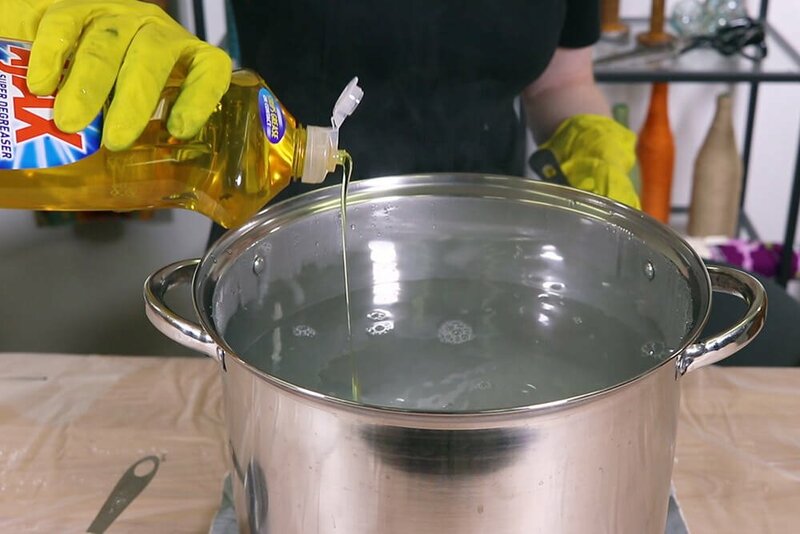 Fill a large plastic container, or a stainless steel pot or sink with 3 gallons if hot water. If your tap water doesn’t get scalding hot, heat up the water on the stove until it’s near boiling. 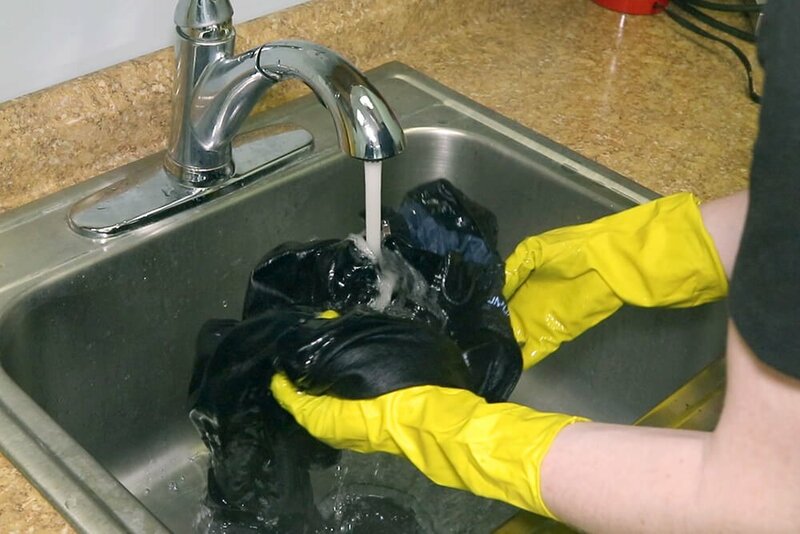 Add 1 cup of salt to enhance the color and about 1 teaspoon of dish detergent to help the fabric dye evenly. 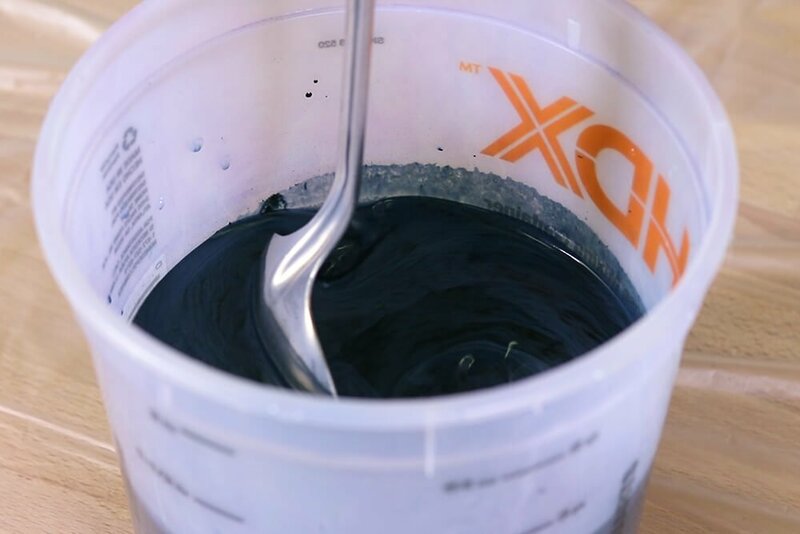 Use a 1/2 cup of dye, or if you want a dark color, use a full bottle. For light colors, use less dye. Shake the bottle well and pour it into the water. Stir well. 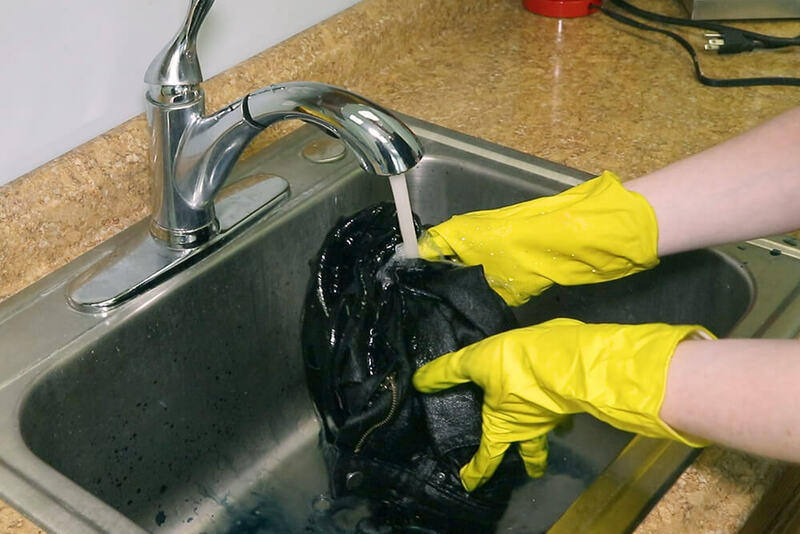 Submerge the damp jeans and stir continuously, especially for the first 10 minutes. 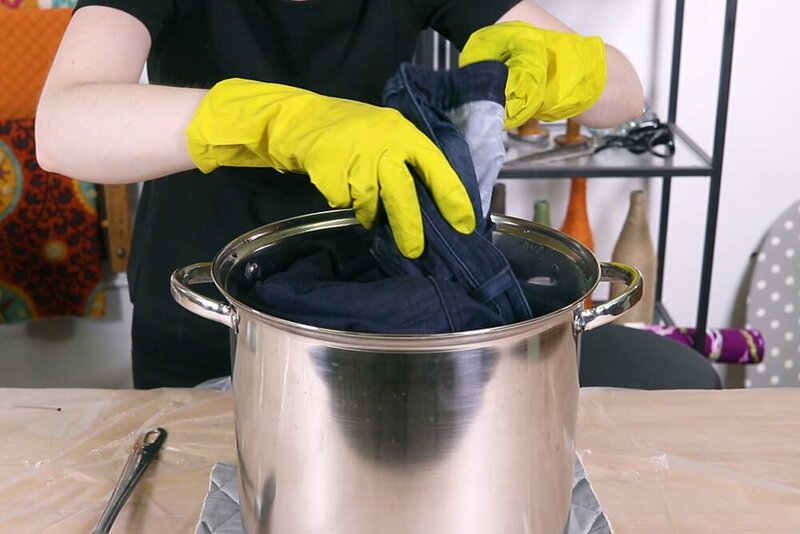 Make sure the dye is getting to all parts of the jeans. 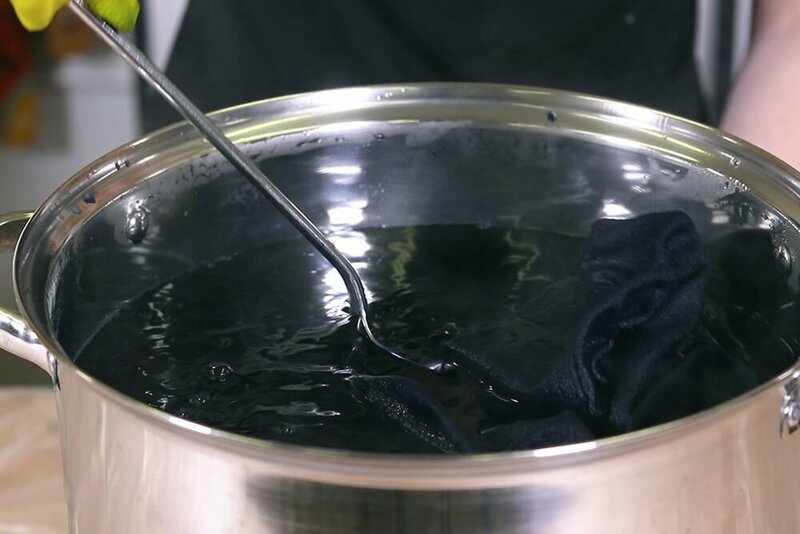 For dark colors, leave the jeans in the dye bath for at least 30 minutes while stirring regularly. The denim fabric used for jeans is typically woven with both indigo and white yarns. This gives denim its characteristic look. 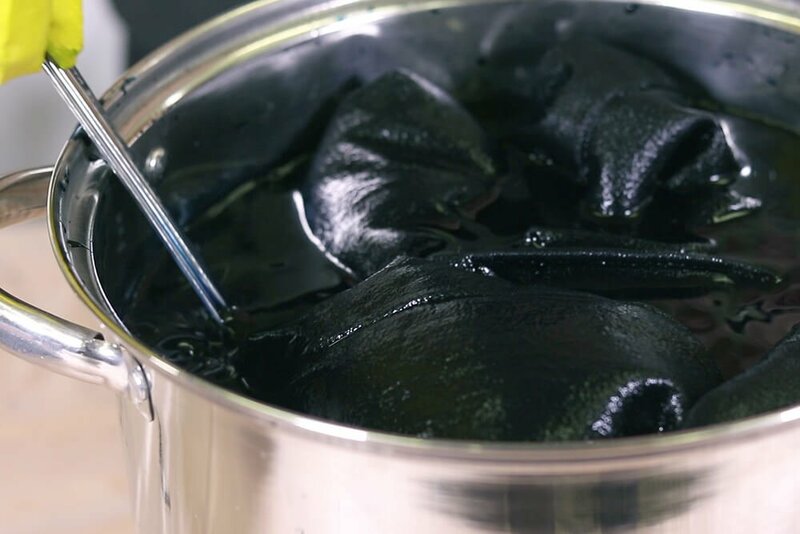 When you dye denim, it will create a flatter color, so just be prepared for that when you see the results. Use Rit ColorStay Fixative to enhance the color and reduce color bleeding. 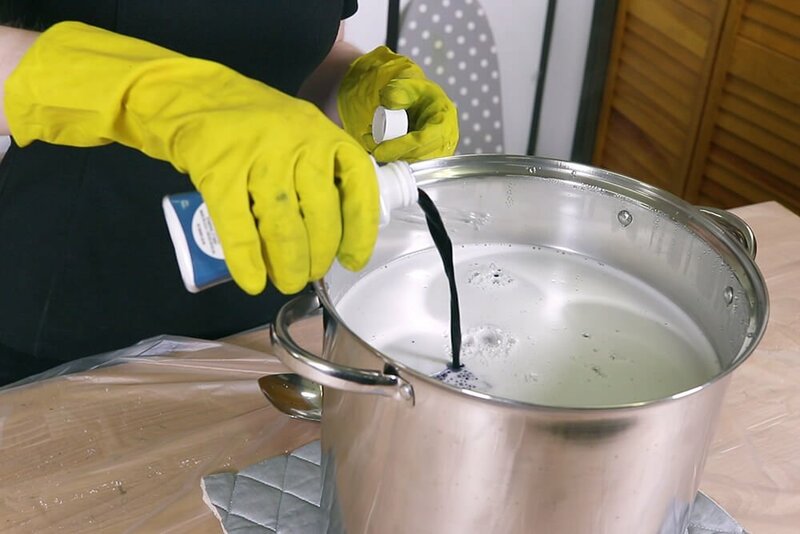 Fill another container with about 3 gallons of hot water. 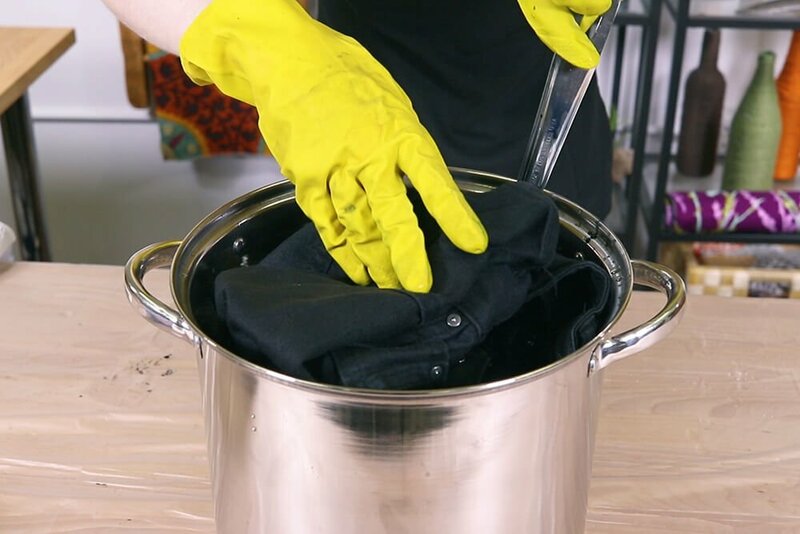 Use a 1/2 cup of fixative for every pound of dry fabric. Put the jeans in the fixative solution and stir for 20 minutes. Rinse the jeans in cool water. Machine wash on warm and dry. Wash separately at first, then with like colors. 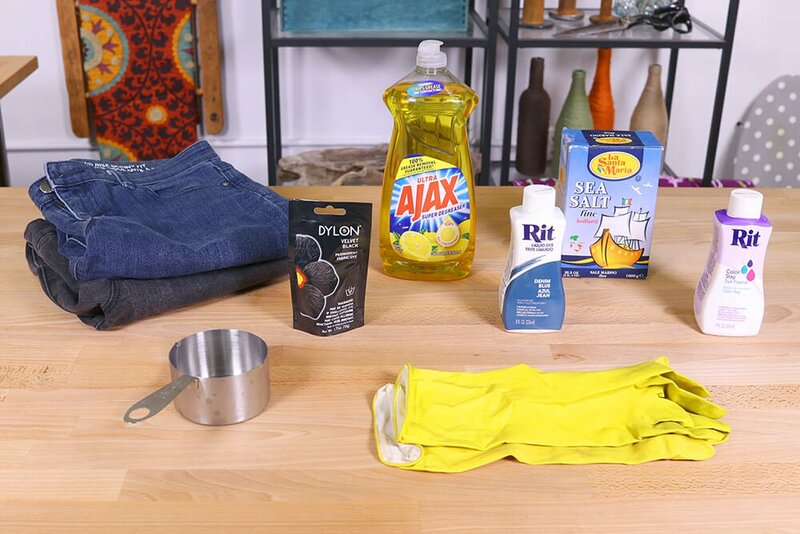 Ready to breathe new life into your old jeans? Check out our selection of fabric dye. I have a pair of white jeans that i want to dye to a darker color, any suggestions or tips for me? BEST ANSWER: Starting from a white fabric works great because you can dye them just about any color you want! There's no additional tips I can think of. BEST ANSWER: Yes, it should work well!